What is PTO? Power take off. PTO: Mixers, refrigerators and other special vehicles that require additional power are obtained through PTO, which is an additional device mounted on the outside of the gearbox (the cement mixer's force is on the clutch housing), which obtains power from one of the gearbox's gears. The connection or disconnection of this power is controlled by an electromagnetic fitted in the cab. 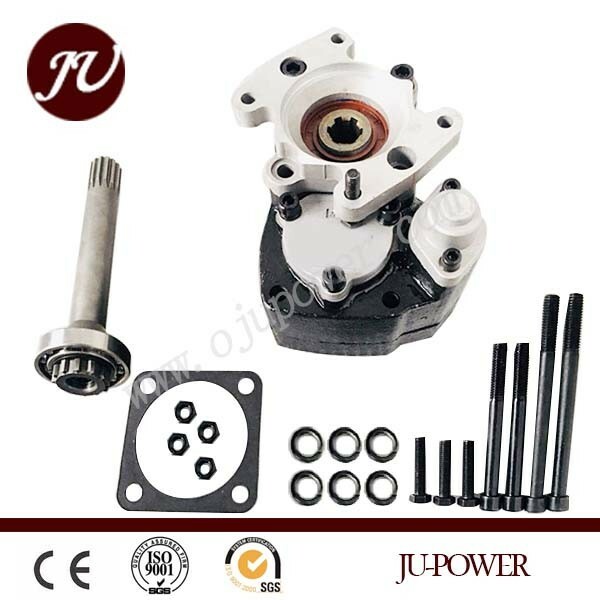 The high pressure oil pump is driven by PTO, the pump is driven for the fengine, the compressor is driven for the refrigeration vehicle, and the rotary mixing tank of the hydraulic motor is driven. Most of PTO are used in the dump truck. 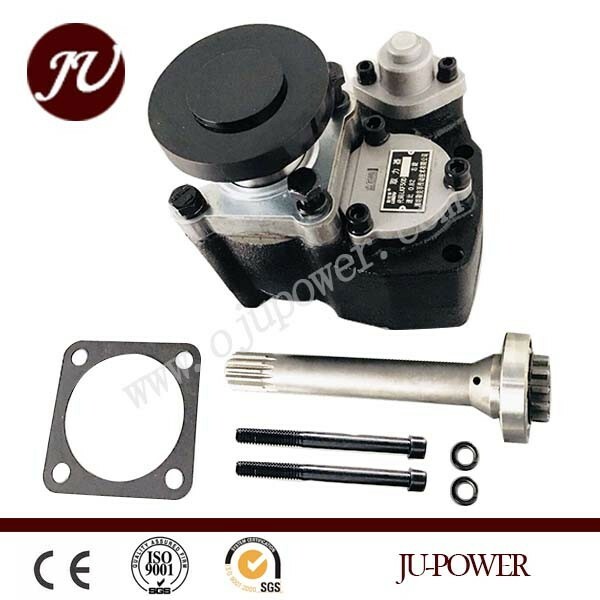 In Europe, North America, due to the special vehicle requirements for PTO is very high, the force manufacturer will design a multi-output force, or with the clutch of the force, the Force control modes are: mechanical control, hydraulic control, gas control, vacuum source control, electronic control, among which air control is more common.